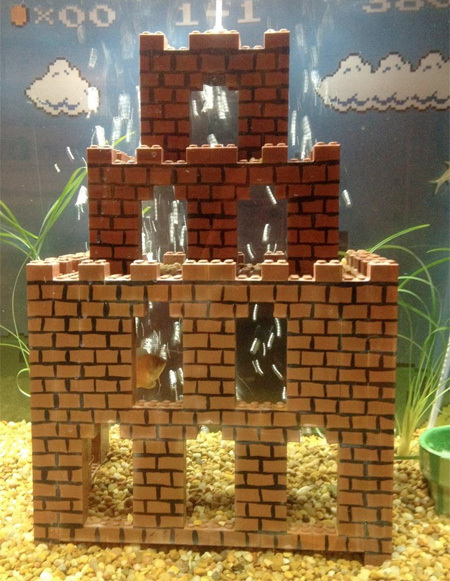 Iconic first level from extremely popular Super Mario Bros. video game was recreated inside a 55 gallon fish tank by Cedrick Bearss. 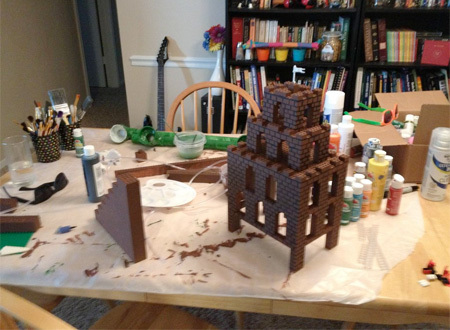 Obstacles and characters from the game were constructed out of LEGO. im stealing this idea !! 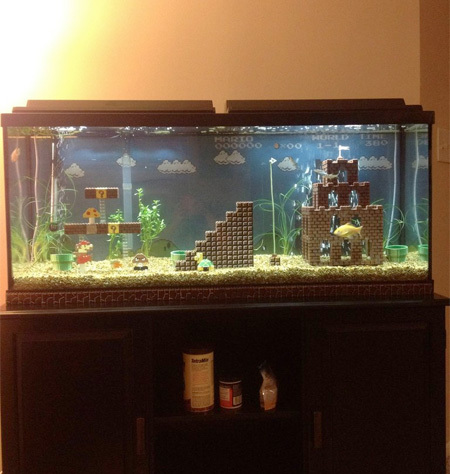 this is nice..i wonder if it a really big aquarium or aquarium in a room size, with super mario setting design. that would be awesome..!!! Awesome. 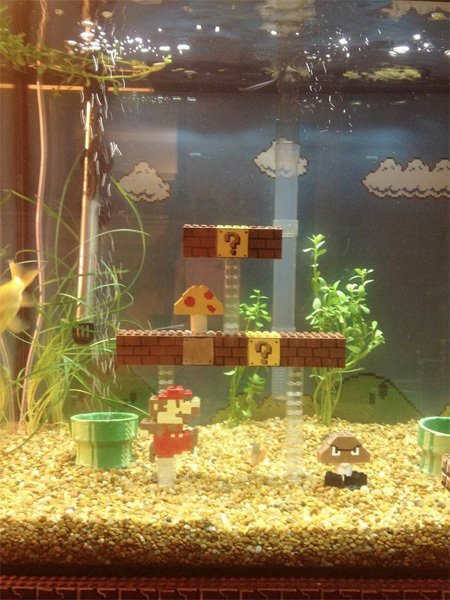 Super Mario game is very old but its fans are still very devoted all over the world. 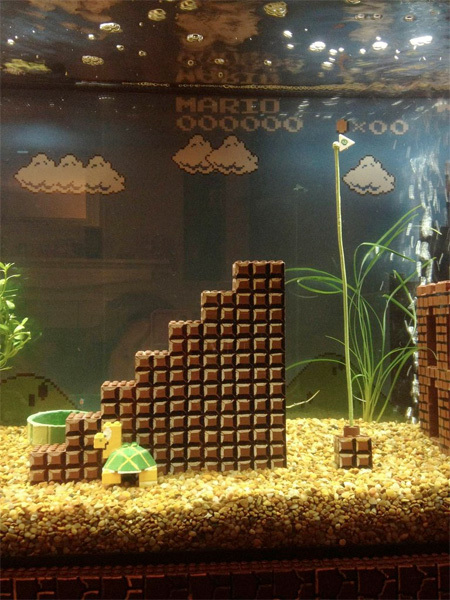 Why didn’t you make it the underwater level? That would’ve been perfect!! Still good work, though. @ henry. Expect a call from Homeland Security! 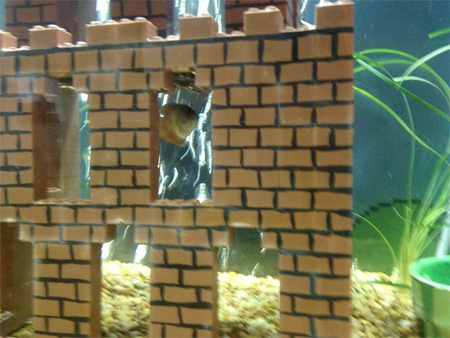 King Koopa must be dining out with the Princess, that’s why they weren’t there. 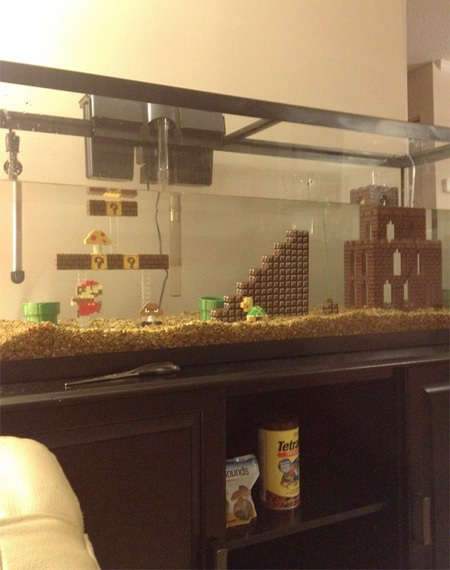 Where did you get the decor from? 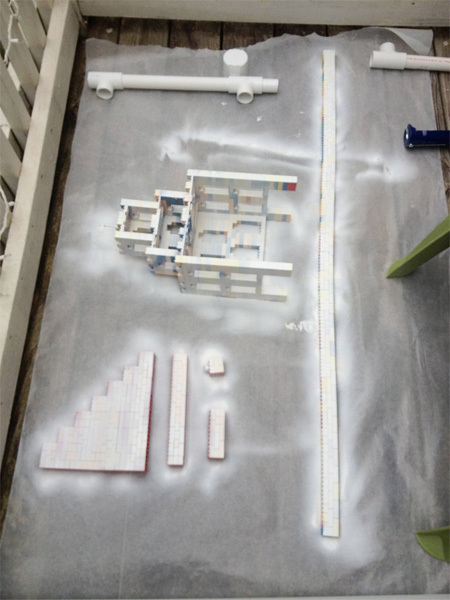 What kind of paint is that, that will last under water?